Product Information : Cup-shaped, upward-facing, 2 in. 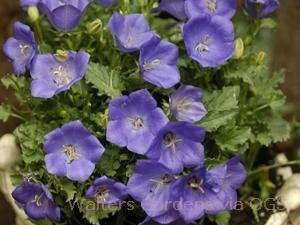 wide, blue-violet flowers. The dark green foliage forms a compact, uniform clump. Tends to bloom a few weeks earlier than other carpaticas.